Having a facilities management arm to our business means that we can supply you with a vast range of consumable products for your business. Rather than you finding numerous suppliers to provide you with all the consumables you need to meet the demands of your business, let us do it for you. We utilise our ability to purchase in bulk which means ultimately, you get the benefit of high quality consumables at lower prices and without the hassle of finding them yourselves. THE BEST provides a full range of office, plant, leisure and retail cleaning services on contract or ad hoc basis. Whether it’s early mornings, evenings or night our 24 hour service ensures minimal disruption to our clients' premises. All aspects of your facility can be cleaned to the highest of standards and by working around our customers' trading hours enables continuous use of the facilities. Our current contracts are quite diverse and include offices, manufacturing facilities, hospitals, colleges, universities, offshore companies, banks, hotels, local government and many more. A high standard of washroom hygiene is vital for staff and customer wellbeing. THE BEST has the flexibility and experience to meet all your needs in the supply of hygiene and sanitary equipment and supplies. Our industry-leading products and services, guarantee a workplace environment that's not just safe and clean, but fully compliant with the legislation. Pest control is the process of minimizing or removing a wide range of undesirable insects and other pests from spaces occupied by people. The actual process of pest control can take place in the home, in a place of business, or in a public building. Controlling pests normally involves using some types of insecticides to prevent them from entering the space, and to kill any pests that have already established a presence within the space. Our specialized team may visit you at your premises and give you the right solution. 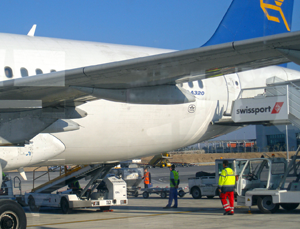 Our company has introduced better quality cleaning solutions that have enhanced the appearance of aircraft cabins. Whether the task is cleaning the aircraft, the terminal, or security checking the aircraft, you can count on us to meet the highest of your expectations. This core service addresses five key areas – the cabin in general, passenger seats, galleys, toilets and the cockpit. Activities include the removal of rubbish from the seat pockets, emptying of ash trays, brushing seat cushions, crossing seat belts, vacuuming the floor, removing rubbish and cleaning of tables, toilets and galleys.